Slip behind the wheel and it’s reassuringly familiar. The LS is set-square straight, with a pleasing timelessness to its shape. No Germanic fashion chasing for Lexus in here, and it’s all the better for it. It’s this resolute focus on luxury, on comfort – and the way the LS spurns sportiness at all costs – which lies at the heart of its appeal. It set a crystal-clear proposition as the bedrock for what Lexus stood for. 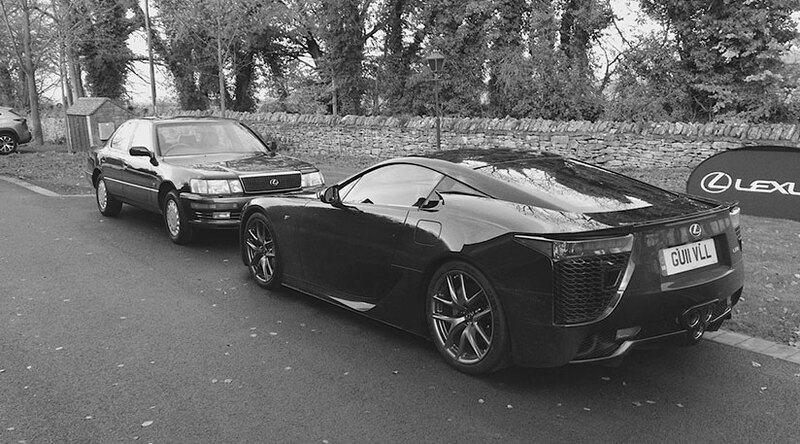 Jump from the whispering LS400 into the LFA and you’re in for a big shock. This is one of the landmark supercars of this century, and something of a beast. It couldn’t be more different from the LS if it tried.